Going green involves activities that help to reduce waste when it comes to energy, food, water and how we treat the environment in general. When it comes to food waste, the Food & Agriculture Organization (FAO) of the United Nations estimate that about one third (1/3) of the food produced in the world for human consumption every year –approximately 1.3 billion tonnes –gets lost or wasted. These food losses and waste translates to roughly US$ 680 billion in industrialized countries and US$ 310 billion in developing countries. Food wastage occurs at all stages of the food supply chains and in high-income countries, volumes of wasted food are higher in the processing, distribution and consumption stages. In low-income countries, food losses occur in the production and post-harvesting phase, according to FAO. Food wastage is a big contributor to climate change. According to FAO, the 30 percent of food wasted globally across the supply chain, contributes to eight (8) percent of total global greenhouse gas emissions. If food waste were a country, it would come in third after the United States and China in terms of impact on global warming. Hence, reducing food waste around the world would help curb emissions of planet-warming gases, lessening some of the impacts of climate change such as more extreme weather and rising seas. Since the food wastage is taking place along the food supply chain before it is thrown to the landfill, improving food use and distribution channels through efficiency can reduce some of it. According to a study from the Potsdam Institute for Climate Impact Research (PIK), up to 14% of emissions from agriculture in 2050 could be avoided by managing food use and distribution better. Avoiding food loss and waste may counteract the increasing food demand and reduce greenhouse gas (GHG) emissions from the agricultural sector. Just like going solar or implementing renewables and energy efficiency; reducing food waste is one of the most important things that can be done to reverse global warming. For instance, Project Drawdown’s team of researchers ranked solutions to global warming and cutting down on food waste has nearly the same impact on reducing emissions over the next three decades as onshore wind turbines. More than 70 billion tons of greenhouse gases could be prevented from being released into the atmosphere. We know that even with improving or managing the food supply chain better, we will still have food waste ending up in a landfill somewhere. When food waste is thrown away, it ends up being buried in a landfill where it decomposes without oxygen, and releases methane (CH4) – a harmful greenhouse gas that measures 23 times more potent than carbon dioxide when it comes to its global warming potential. Methane (CH4) traps and absorbs heat that slowly over time cause global warming. In the USA, for instance, landfills account for 34% of all methane emissions. Landfilling which is the most common waste management practice results in the release of methane from the anaerobic decomposition of organic materials such as food waste. Landfill gas (LFG) is a natural by-product of the decomposition of organic material in landfills and is composed of roughly 50% methane (the primary component of natural gas), 50% carbon dioxide (CO2) and a small amount of non-methane organic compounds. Instead of the methane gas being released in the atmosphere it can be captured, converted and used as a renewable energy resource. This helps to mitigate climate change and reducing odors and other hazards associated with LFG gases. Since landfills all require land that can be filled up and needing more land, this is not a sustainable solution in the long-term. Biogas generator can be set-up at different stages of the food supply value chain to help reduce food waste or organic waste that ends up in a landfill. This will help to reduce filling up landfills and then needing more land for landfills. As we have noted, food waste organic waste even with improving the management of the food supply chain, we will still have food wastage in the system which if not composted or treated using biogas generator systems will end-up in a landfill. So organic waste is a huge environmental problem and a big challenge to going green or even tackling the climate change issue. Biogas production from organic waste is an option for capturing methane before it goes to a landfill. As such, production of biogas through anaerobic digestion (AD) of food waste or digestible organic waste can convert these substrates into renewable energy. AD is a microbiological process of decomposition of organic matter, in the absence of oxygen, which has two main end products: biogas and digestate. Biogas is a combustible gas consisting of methane, carbon dioxide and small amounts of other gases and trace elements while digestate is rich in micro and macronutrients and suitable as a plant fertilizer. Biogas installations are common in many agricultural countries in both the developed and developing countries. Small-Scale biogas generators are family owned and are used for cooking and lighting and common in Asia (China, India, Nepal & Vietnam). About millions of family owned biogas digesters are installed in these Asian countries. In the developed world, thousands of agricultural biogas (Agro-industrial biogas generator) are common in Europe and North America where they are used mainly for renewable energy power generation or a fuel for transportation. Biogas is renewable resource of energy because unlike fossil fuels, biogas form anaerobic digestion (AD) is produced by biomass, which is a living storage of solar energy through photosynthesis. Interested in going solar? 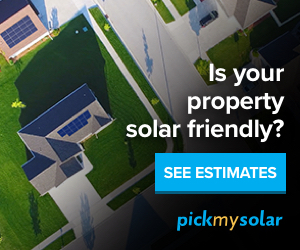 Get started with this solar panel cost calculator to determine how much it can cost you to go solar and your estimated energy savings. Get in touch to learn more about solar and renewable energy. How profitable is a biogas system for farmers and food processing companies? Awesome article. Keep informing the masses. Thank you. Subscribe to be updated about our articles.